G'day lovely friend. Thanks so much for stopping by. 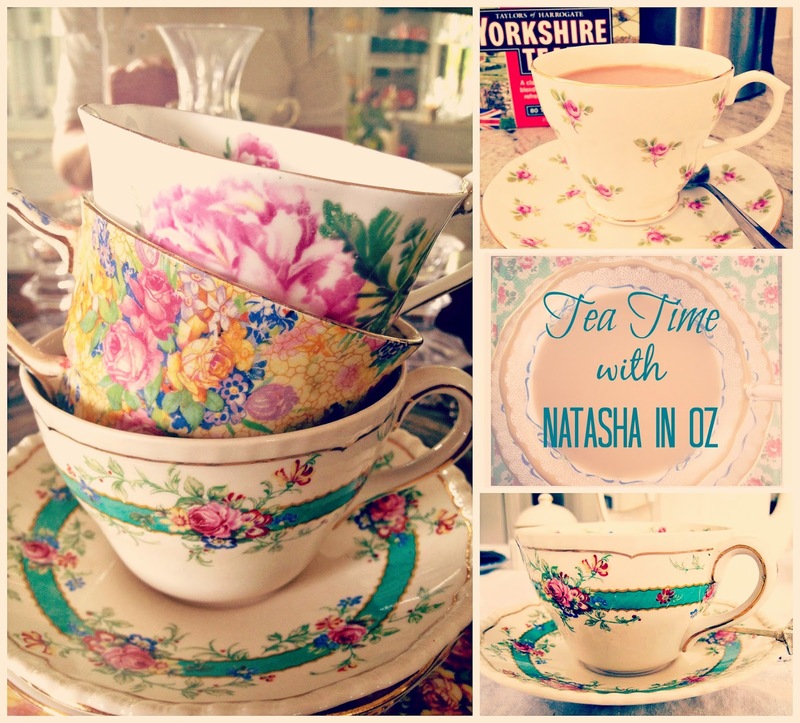 I hope you have time for a cuppa with me today! One of my favorite places to sit down with a relaxing cup of tea in our house is our study or den area. This room houses books, one of our two computers, family photos and most importantly, a big brown leather club chair and ottoman. This room also houses one of our greenest, niftiest and thriftiest tables. The little side table used to belong to Mr Attorney's grandparents. 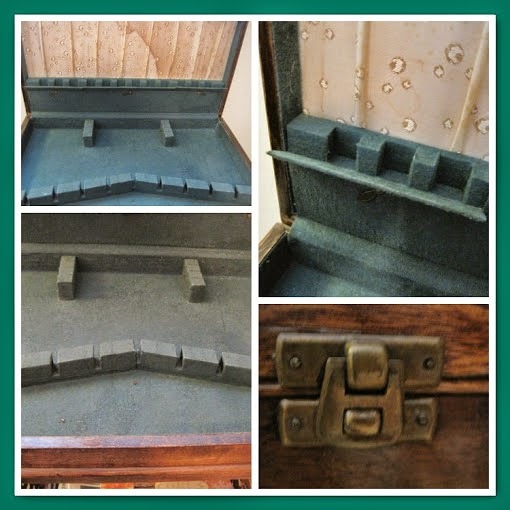 It is made of silky oak and in its first life it was actually a cutlery box. When you open the little latch look at what you find inside! Isn't it great? 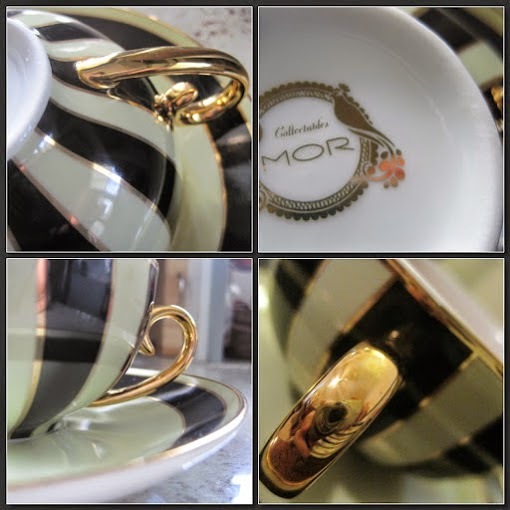 I rest my tea on this sweet little table when I am reading magazines researching interesting topics for my blog. 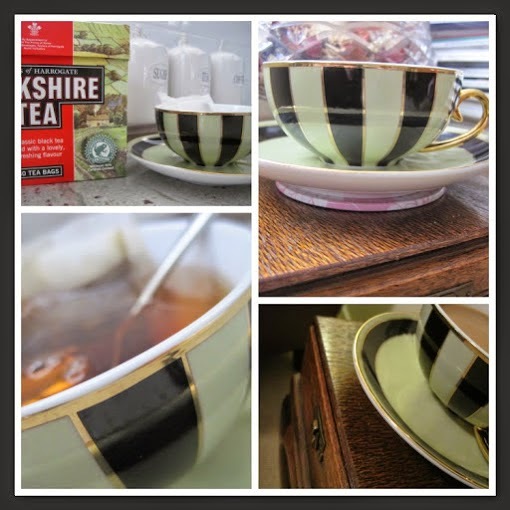 Do you like my new my green and gold tea cup! In a previous life it used to be a teacup candle! Isn't this is a wonderful idea? 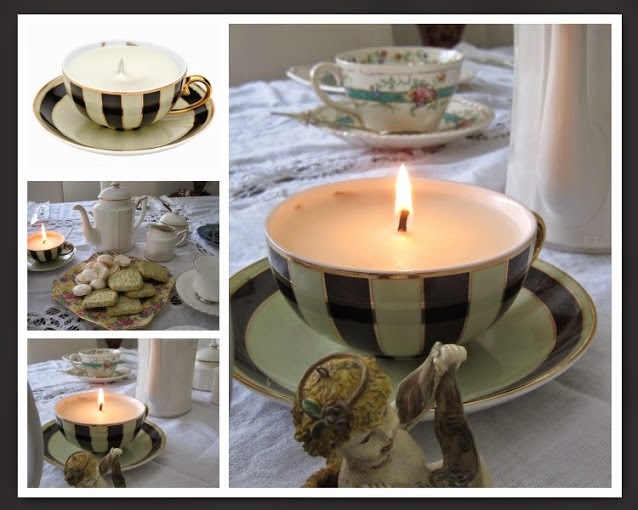 If I was a crafty person who knew how to make candles I would love to make tea cup candles with some of the teacups that I have found at yard sales, thrift stores and flea markets.... hmmm...maybe I need to learn how to make teacup candles! 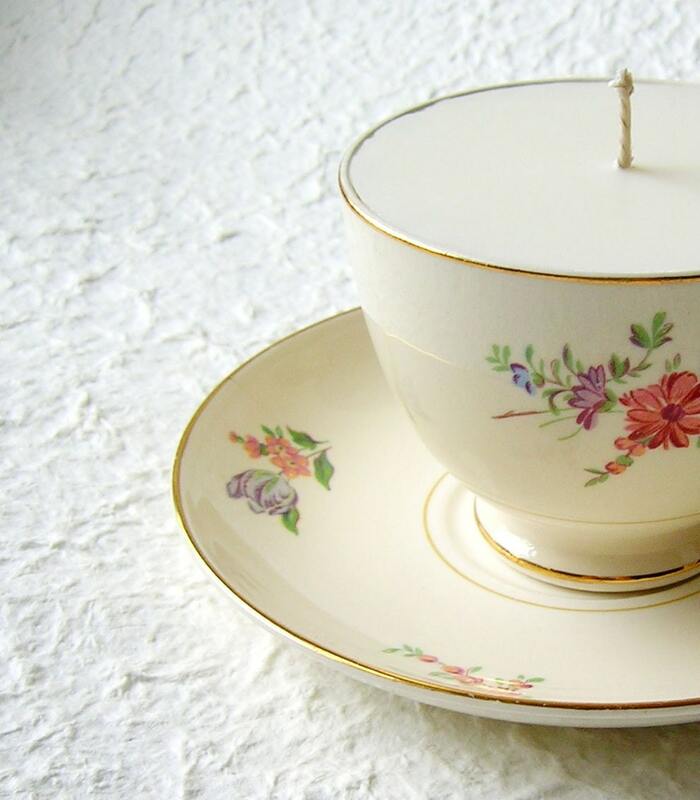 Maybe Martha could teach me how to make teacup candles? 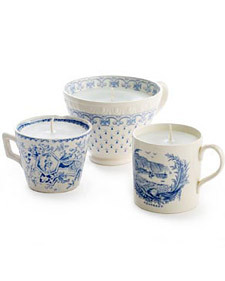 I think I might just have found myself a new project...I am going to learn how to make candles! I had better get this post published and start researching candle making! 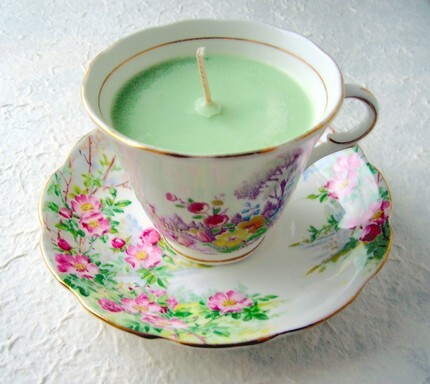 So, it's time to make another cup of tea and sit in my big comfy club chair and learn about the art of candle making. If you have any tips for a beginner like me please do pass them on! There's still to join in with this week's the Say G'Day Linky Party! Link up a post about your favourite recipe, craft, idea, tutorial, Instagram pics, DIY projects or even your own linky parties.